In what was a night full of exuberant dancing and exciting sing-a-longs, Meghan Trainor did nonetheless than put on a sparkling performance at her sold out show in Houston’s House of Blues. Promoting glittering self confidence to her fans, harmonizing as well as any R&B singer, and of course flaunting her amazing dance moves in her glitter and sequin coated outfits, Trainor captivated the venue with her sass and talent in perhaps the most crowded concert I have ever seen at the House of Blues. She started off the show with some slow, heartfelt jams like “3AM” and “Like I’m Gonna Lose You” and ended it with a mass dance party with crowd favorites like “Lips Are Movin'” and “Bang Dem Sticks.” She also delivered a wonderful dance along to Bruno Mars’s “Uptown Funk.” Her audience, which ranged from ten-year-old girls to married couples, was very diverse and very united in their fandom for Meghan who makes her appreciation to her fans very clear. Apart from constantly reminding everyone of their inner and outer beauty, at one point in the night she brought up a star struck fan up on stage to dance with her. In all, the show was everything I expected and even a little more. 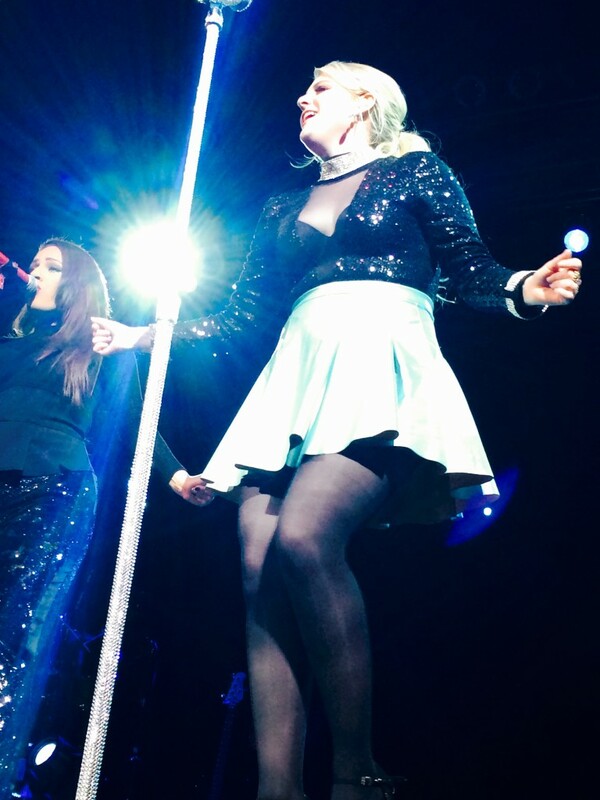 Although everyone was standing shoulder to shoulder, the energy was incredible and Meghan Trainor was an excellent performer with a powerful voice and a charming stage presence, which consisted of a lot of her personal dating anecdotes, told in her cool East Coast accent and of course her music, which was very soulful, energetic and catchy. Most definitely one of the best performances I have seen yet with one of the most gorgeous and empowering performers out there.